SEBRING, Fla. (Nov. 9, 2018) – Hyundai today announced the next chapter in its championship-winning, customer-racing motorsports program at the Michelin IMSA Sports Car Encore. 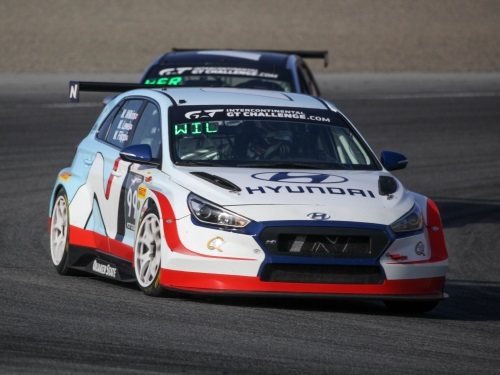 Bryan Herta Autosport, fresh off the team’s 2018 debut season in which it secured both the Team and Manufacturer championships in the 2018 Pirelli World Challenge TCR class, will compete in the 2019 IMSA MICHELIN Pilot Challenge in the all-new Hyundai Veloster N TCR race car. 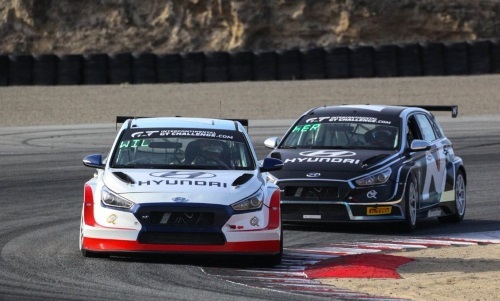 In addition, Bryan Herta Autosport will sell Hyundai TCR race cars to customer teams and provide technical and parts support. The Veloster N TCR was designed by the same Hyundai Motorsport Customer Racing Team that developed the championship-winning i30 N TCR. Like its i30 stablemate, the Veloster N TCR will be produced at Hyundai Motorsport Headquarters in Alzenau, Germany. The two cars share around 85% of their core components, including the 350-hp 2.0-liter turbocharged engine. The Veloster N TCR will be fully unveiled closer to the start of the 2019 IMSA MICHELIN Pilot Challenge Season, which spans 10 rounds at marquee tracks across North America. The season kicks off on January 25 at Daytona International Speedway. The Veloster N TCR is part of the ongoing rollout of the Hyundai N brand globally, and addresses the requests of Hyundai Motorsport customer teams in select national markets where the i30 N TCR race car was in competition, but the i30 N road car was not part of a region’s production-vehicle model range. 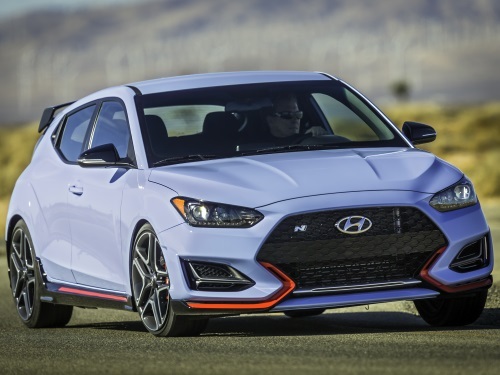 The addition of the Veloster N TCR to the customer motorsports lineup gives teams in national markets where the Veloster N road car is available a more relevant platform for their respective audiences. 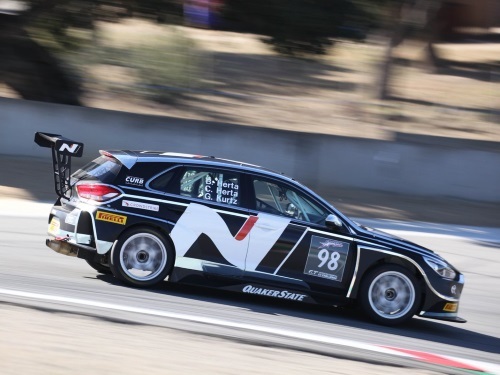 In the United States, Bryan Herta Autosport is the designated sales agent for the Veloster N TCR and i30 N TCR customer cars. The Veloster N TCR can be ordered for €135,000* plus shipping, with customer deliveries set to begin in March 2019. The International Motor Sports Association, LLC (IMSA) was originally founded in 1969 and owns a long and rich history in sports car racing. Today, IMSA is the sanctioning body of the IMSA WeatherTech SportsCar Championship, the premier sports car racing series in North America. IMSA also sanctions the IMSA Michelin Pilot Challenge and the IMSA Prototype Challenge as well as four one-make series: Porsche GT3 Cup Challenge USA by Yokohama; Porsche GT3 Cup Challenge Canada by Yokohama; Ferrari Challenge North America; and Lamborghini Super Trofeo North America. IMSA – a company within the NASCAR family – is the exclusive strategic partner in North America with the Automobile Club de l’Ouest (ACO) which operates the 24 Hours of Le Mans as a part of the FIA World Endurance Championship. The partnership enables selected IMSA WeatherTech SportsCar Championship competitors to earn automatic entries into the prestigious 24 Hours of Le Mans. For more information, visit www.IMSA.com, www.twitter.com/IMSA or www.facebook.com/IMSA. Co-Founded by Bryan Herta in 2009, Bryan Herta Autosport has grown from a single-car Indy Lights team into a world-renowned auto-racing franchise. The team made its first foray into IndyCar action in 2010 with an entry in the Indianapolis 500 while continuing to run a full-time multi-car Indy Lights program. The 2011 Indianapolis 500 was the final race of the Centennial Era, a celebration of 100 years of racing at the Indianapolis Motor Speedway. Also known as “The Most Important Race in History,” the 100th anniversary of the inaugural 1911 race was the second IndyCar race in which Herta Racing competed.